I didn’t take my camera last Sunday when I walked a section of the Westside Overland Trail. It was just as well, since it rained all the way out. But as I look back on the hike, I wish I had taken the camera… or that I was as talented as Carolyn, or Toni, or Christine and could sketch, draw, or paint what I saw! In the meantime, I took a walk in a nearby woods to see what might be “blooming” there. I don’t know what any of them are… But aren’t they gorgeous? 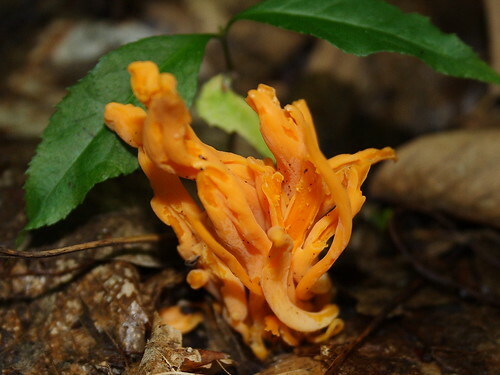 This entry was posted in fungi, hiking. Bookmark the permalink. They are in deed gorgeous! We don’t have such beauteous ones where we live! Wow, they are gorgeous! All they ask is a quiet spot and a little rain. 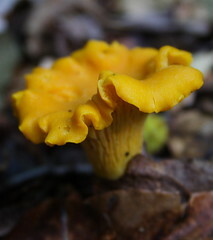 Now you got me interested in fungi and I’ll have to start looking down and up. Beautiful photos. As for the blog award for you, participate if you have time. They are beautiful. Love the colours. I had no idea they came in so many colors. 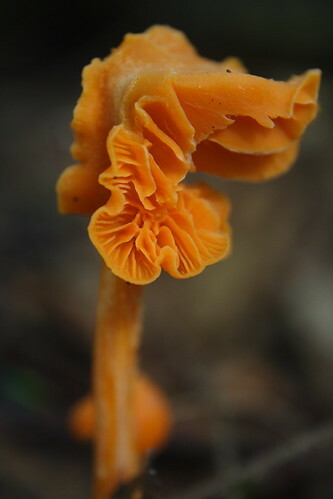 The shapes and colors of the fungi are always amazing to me. Fantastic pictures. Here in the Missouri Ozarks we’ve had unusually moist conditions all season and, as a result, a banner fungus year. 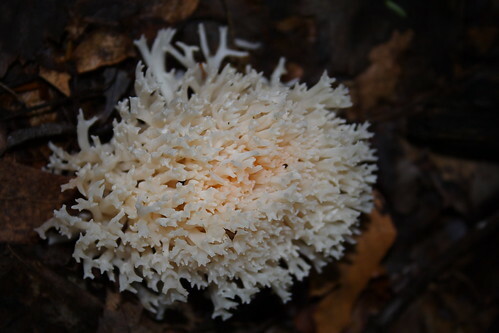 My favorites are the coral fungi. 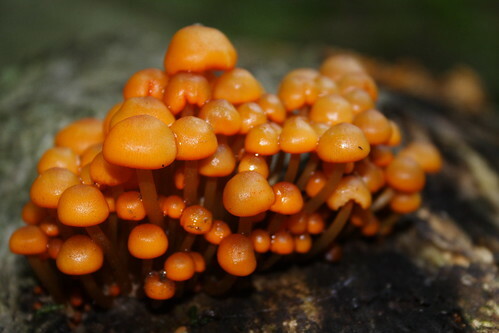 Those fungi are amazing! All those different colors, shapes & textures…..very cool. Thanks for sharing.